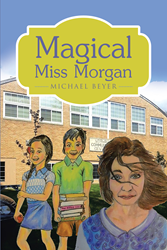 Recent release “Magical Miss Morgan” from Page Publishing author Michael Beyer is an engaging tale starring a beloved middle-school teacher, her spirited sixth-grade students, and a troupe of mischievous pixies that takes up residence beneath their classroom. Michael Beyer, a married father of three and retired middle- and high school teacher with thirty-one years of service in Texas public schools, has completed his new book “Magical Miss Morgan”: a suspenseful small-town adventure for independent readers. Magical Miss Morgan is the story of small town Iowa teacher who faces the difficult task of helping sixth graders become real people, able to read and write. She needs the skills of a psychologist, police woman, negotiator, mother, and apparently, a magician to do the job a teacher actually needs to do. And on top of that she has to deal with a problem no teacher can possibly be prepared for climbing up out of the heating grate in the classroom floor. Will they love her or hate for the things that she does, and the magical way she tries to change the world for her students? Published by New York City-based Page Publishing, Michael Beyer’s magical tale is an entertaining read for school-age children. Readers who wish to experience this engaging work can purchase “Magical Miss Morgan” at bookstores everywhere, or online at the Apple iTunes store, Amazon, Google Play, or Barnes and Noble.